I first started working with this family when they were expecting this little girl. The mom was stunning during our Folly Beach session. 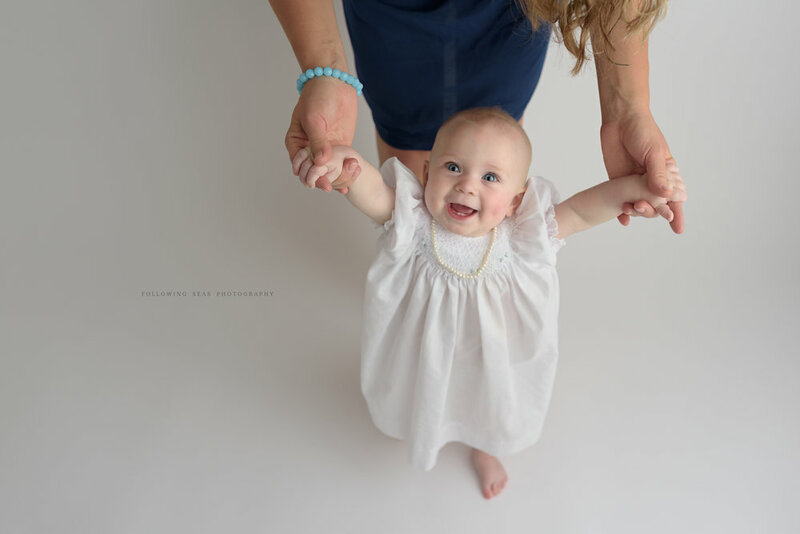 Little Miss was a dream during her newborn session and was equally as precious for her sitter session. She's at the fun age of babbles, slow motion falls while trying to sit and flashing big smiles at silly noises. This is seriously one of my favorite ages. And how precious is she in her little smocked dress?